Do you think the Raspberry Pi costing $25 is overpriced? Let us introduce you to a Linux mini PC that costs just $5 then, Omega 2. Sounds like a lie but it is true; Of late microcomputers have been owning low price tags. Perhaps the trend started with Raspberry Pi when we saw a range of inexpensive, programming ready, do-it-yourself devices like the $9 Chip mini PC – don’t forget they don’t come with their accessories. A well-known brand in the field of (IoT), Onion, has a similar product, Omega, which costs $19.99. 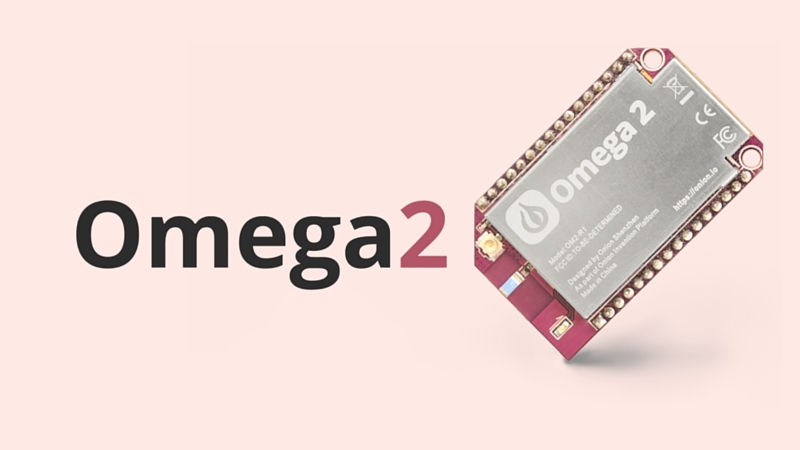 Onion has recently announced a new version of Omega 2 that costs only $5 and the device is aimed at IoT development. The Omega 2 is not available for sale yet, but it has been announced for crowdfunding on Kickstarter and has already crossed its goal of $15,000 with over a month left before the campaign ends. You can opt for the pro version of Omega 2 (called Omega 2 Plus) if you think you will need better specs for your IoT project. Omega 2 Plus has 128 MB memory, 32 MB storage and it comes with a MicroSD card slot. Everything else is the same as Omega 2. Omega 2 runs a custom Linux OS which will provide you with total control over the device via the Linux command line. Onion also has its own cloud app store with which you can control and program your device. It is extremely extensible and you can have it coupled with Arduino. What do you think about the Omega 2? Post your comments down below.